The Brexit vote exposes two interlinked issues which determine Australia's place in the world, and which are both vulnerable to fluctuations in support: immigration and globalisation. It’s a reminder Leigh of a point I often make that we are living in a period of rapid economic change; we’re living in a period of volatility. We have to embrace that. But according to Turnbull, even constant vigilance might not be enough. Post-Brexit, the PM asked voters to back his party in order to ensure economic stability in a 'global economy over which we have no control.' The use of 'control' here is rather telling, as 'taking back control' was the central theme of the Leave campaign, appealing to a segment of the British population that considered itself disempowered. Turnbull was essentially arguing that there is no alternative to our loss of control, and that turning our back on globalisation in order to reassert control would ultimately be self-defeating. ...if you look at the cases made by people like Boris Johnson, it is very much about Britain being able to better engage in the 21st century, freed from the shackles of bureaucratic Europe and better able to embrace the world. Well, that's one way of spinning it. Another is that Brexit was a vote to hit the brakes on globalisation and what its critics call the 'neoliberal agenda'. But if there is such a movement, the early reaction to the Brexit referendum demonstrates that it is rather inchoate — it has nowhere to go because, as in Australia, neither of the two major parties in Britain offer a substantive alternative to the neoliberal consensus. The other proximate cause of the Brexit vote, of course, was mass migration. Here we hit on a second point of comparison with Australia, with some commentators fearing the anti-immigrant sentiment that animated the Leave campaign could also find voice here. In a sense, our problem is less acute. Australia is a nation founded on immigration and its modern cousin, multiculturalism. And compared to Britain, our pre-existing identity, one formed before the days of mass immigration and to which older voters might long to return, is weaker. There is no nostalgic past for Australia to go back to, which gives us a lot of ballast when anti-immigrant sentiment occasionally crops up. But it also means there is no real alternative to an outward-looking Australia — our immigrant identity can't be disentangled from our economic and diplomatic engagement with the world. So if Australia is going to stay on the high-immigration, open-Australia path, our national leader needs to navigate it. And calls for Australia to 'embrace uncertainty' and accept our lack of control will hardly do when those are the very sentiments which lit the fire under the Brexit campaign. The government seems to accept this logic well enough when it comes to 'controlling our borders', yet the economy is exempted. Turnbull could fashion himself as a middle-ground response to anxieties about globalisation and immigration. That doesn't mean turning his back on globalisation but on presenting an agenda that deals with current economic realities rather than arguing, as his party so often does, that Australia still needs to win the deregulation fights of the 1990s (George Megolagenis makes this argument in his latest Quarterly Essay). But Turnbull is no free agent. He may protest that he hasn't changed since becoming leader of his party again, but clearly that's not what voters think. His foreign-policy stance illustrates the point: in the years preceding his ascent to the prime ministership, there was a clear streak of independence in Turnbull's views on the rise of China and the place of the US in the Asia Pacific, which as Prime Minister has been pretty thoroughly weeded out. Remember when Turnbull used to appear on Q&A as a charismatic alternative to Tony Abbott? He would get a question about why, given his obvious disaffection with his own side, he didn't just form his own party. 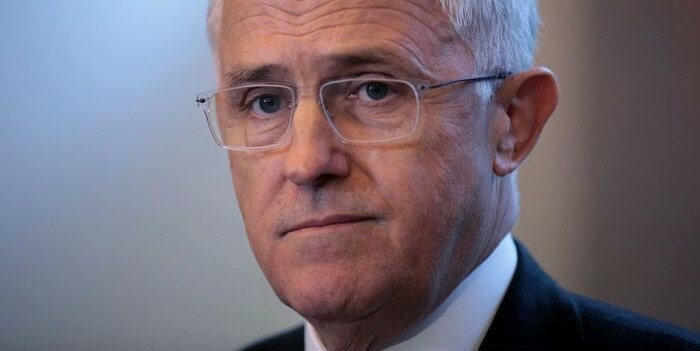 There would be hearty applause and Turnbull would beam at the attention before putting on his serious face and stating his commitment to the Liberal Party and its leadership. But TV is a visual medium, and it's possible that what viewers took away from such vignettes was not just Turnbull's words but also the smile that preceded them. And just maybe the message they took was that, although the idea of founding an entirely new party was impractical (because the voting system in the lower house favours the duopoly), Turnbull could, if given the opportunity, create a new party from inside the old one. For a public showing record-high levels of disaffection with the two major parties (Newspoll recently recorded the highest support for independents and minor parties in its 31-year history) it was an attractive message, one which propelled Turnbull to astronomical approval figures in his early months as PM. The subsequent descent of those numbers suggests the public sees Turnbull as having been co-opted by his party rather than the other way around.